This post shares how easy it is to make homemade creamy cashew milk for all of your dairy-free needs. You don’t even need a nut milk bag. Cashew milk is a non-dairy milk alternative made by blending cashes with water. Cashew milk is perfect for sweet or savory recipes, and can be heated or used in baking. You don’t need to strain cashew milk through a nut milk bag, so it’s one of the easiest, most affordable, and fastest dairy-free milks you can make. Homemade cashew milk will keep in your refrigerator for up to 5 days. Unlike almonds that usually need to soak in water for 8-10 hours, cashews only need a very quick soak and rinse to get them ready for blending. Honestly, even 10 minutes in a bowl of water is enough soaking time for cashews. I recommend using organic cashews. So, placing about one cup of cashews in a bowl and covered with filtered water is the first step in making creamy cashew milk. The second step is to rinse the cashews and then combine them in a high-speed blender with fresh filtered water. As I mentioned, one of the best parts about making cashew milk is that you don’t have to strain it. 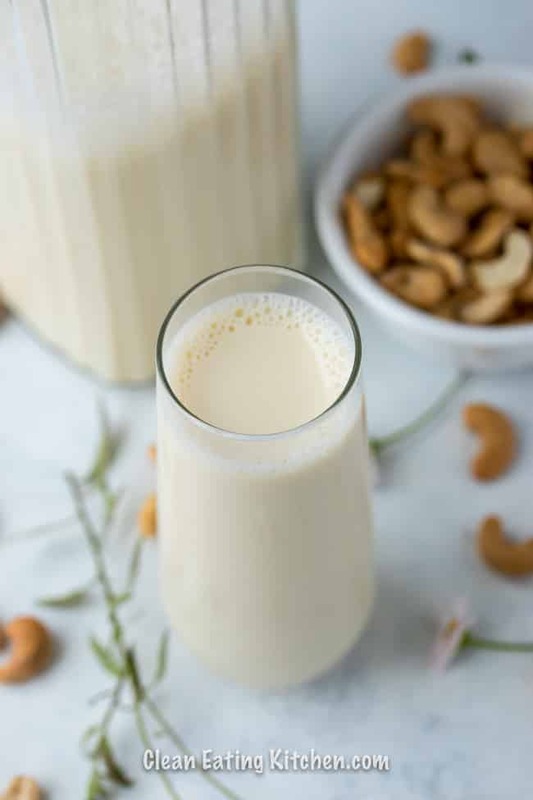 The most basic way to make cashew milk is to blend 1 cup of unsalted, raw cashews with 4 cups of filtered water. Use it plain in your favorite sweet or savory recipes that call for dairy-free milk. Is cashew milk or almond milk better? I prefer making cashew milk because you don’t have to strain it like you do with almond milk. What are the benefits of cashew milk? 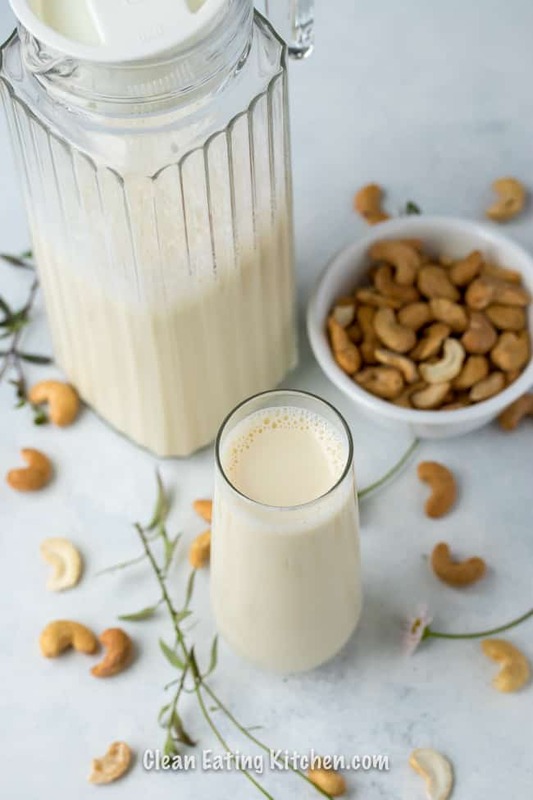 Homemade cashew milk is nutritious because cashews are really good for you! Is cashew milk high in protein? Cashew milk is not high in protein. A 1/2 cup serving has about 3 1/2 grams of protein according to my recipe. Is cashew milk better than milk? Cashew milk is a great substitute for dairy milk, but it’s not necessarily better. It really just depends whether or not you have a sensitivity to dairy or to nuts. Homemade cashew milk is super easy to make, and can be used for your dairy-free needs. Combine the cashews and water in a high-speed blender. 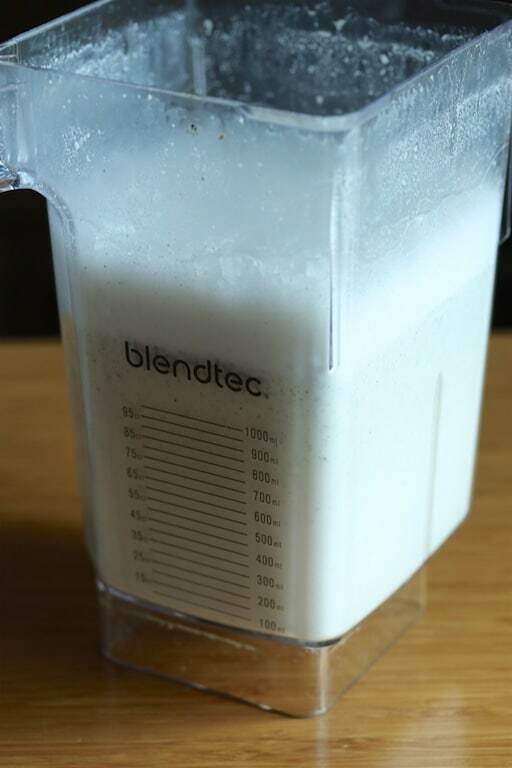 Process for about 45 seconds or until completely blended. Store the milk in an air-tight container for up to 5 days in the refrigerator. Add the seeds of 1 vanilla bean or 1/2 teaspoon of vanilla extract to make a creamy vanilla version! What’s your favorite way to use cashew milk? What other combinations of nuts and seeds do you like for dairy-free milks? Let me know in the comments! oh Carrie I sure do hope this brand will become available on the east coast!!! I will look forward to trying them 🙂 at the moment we buy almond milk and coconut milk which yes is processed at a plant…I tell myself it’s better than cows milk…I know that add stuff to it… my older aunt did find some cashews labeled raw at Trader Joes and grabbed a bag for me… so I will need to attempt milk or oh yummy fudge sickles (my fav as a kid) loving the thought of not having to pour mixture into a nut milk bag and squeezing it through and dealing with the leftover pulp and omg cleaning the bag out!!! love you girl!!! Where can I find these cashews? Are they online? 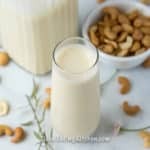 I use almond milk now, but would love to try the cashew milk! No straining would be wonderful!!! Love your articles!! I put a few links in the blog post and recipe, Nancy, but I’m more than happy to share here. Thanks for asking and for such kind words. XOXO. Sorry, guess I was so excited I didn’t see the links! It looks so good and creamy! Thank you and I will definitely make this!!! I discovered homemade cashew milk months ago. It is ALL I make (with my Vitamix). I have also experimented with less rich concentrations to keep the calories low (in my 60s, every calorie has to count, lol). My favorite for everyday use..coffee, oatmeal, etc. is a ratio of 1/3 cup soaked cashews and 3 2 /3 cups water. Really tastes great, looks a lovely opaque white, with a concentration of 1/11. And, money saving! Use the rich stuff for other things! Carrie; It doesn’t get easier then these recipes. Thanks, I am going to give them a try. Let me know which combination you make, Judy, and how you like the cashew milk. Have a great weekend! Yesterday I tried the cashew milk and it’s so good. A lot of times it’s so easy to eat real food – there was no work to it at all. Thanks Carrie. judy. Great, Judy! So glad you like it. It’s so easy and I almost felt silly posting such a simple recipe, but sometimes simpler is better. 🙂 Have a great week! I use the Now brand products and I have been very happy so far with them. I usually by them on line. Your recipe for cashew milk is so simple and so much healthier than the store bought brands that have so little nutrition to them. Thanks for sharing on Real Food Fridays. Pinned & tweeted. Thanks, Marla!!! 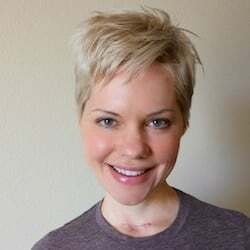 I agree, I have been very happy with the NOW line, especially the organic products. I’m glad you like my cashew milk recipe, so simple yet so delicious! Have a great week. Hi Carrie, I hope you can answer this question for me: why is it necessary to use filtered water when making nut milks? Just curious, thank you! Thanks for this easy to make recipe! My fav dairy-free milk because it’s so easy and soooo creamy!